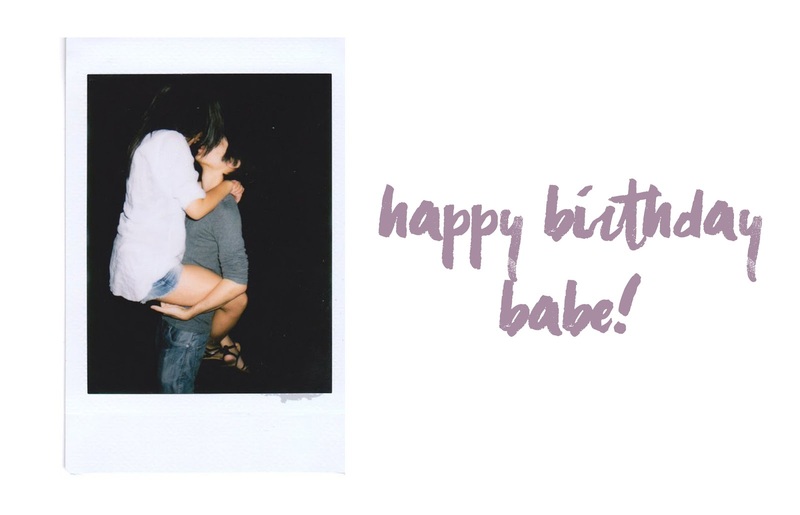 Today is my boyfriend's birthday and I wanted to do a quick post showing him some love (hehe). I don't post much about my relationship on my blog because I like keeping that aspect of my life a little more private. Time flies by so quickly once you're in your 20's, but I want to experience more with you and create many more amazing memories. You've always treated me really well, over and beyond, and I will always appreciate all that you have done for me and all that you will do. You're such an amazing person and I do look up to you in times of need. I'm honestly so grateful to have you by my side, always supporting me when I need it, and having my back no matter what. It feels amazing to know that. Not to be all mushy on you guys, but whether it is his birthday or not, I will still say the same things. Never settle for someone in a relationship. Always be with someone that'll be a positive impact in your life. That's not to say that he doesn't have flaws or things that annoy me, which everyone will have, but those annoyances most definitely do not outweigh the good. No relationship is ever perfect, and there is always room for improvement, but I'm very happy at the current state of our relationship. Happy birthday again! I hope you have a great year filled with happiness, good health, and new memories. Ugh, that sounds so generic, but I really do wish these things for you. Love you.